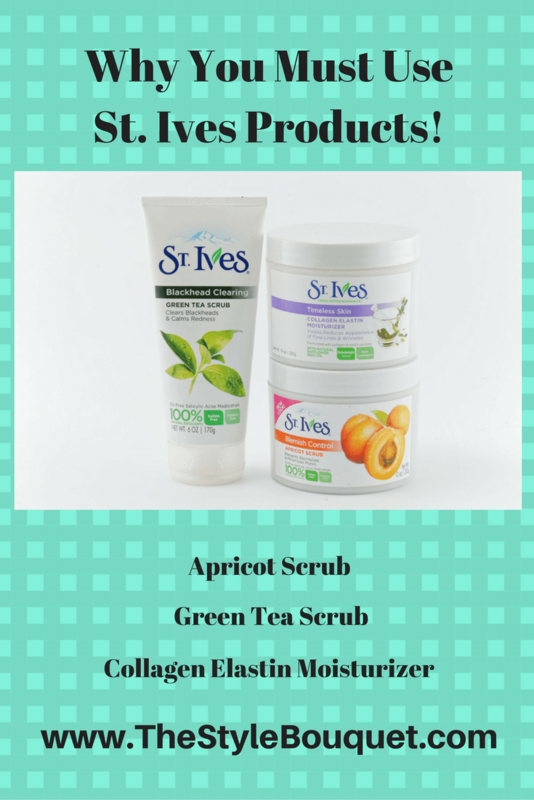 Why You Must Use St. Ives Products! I’ve been using St. Ives products since I was around twelve years old. I started wearing a little bit of makeup at that time and so I was taught the importance of going to bed with a clean face. The St. Ives products with certainly help you achieve that perfectly clean and moisturized face that is necessary to keep a healthy glow. 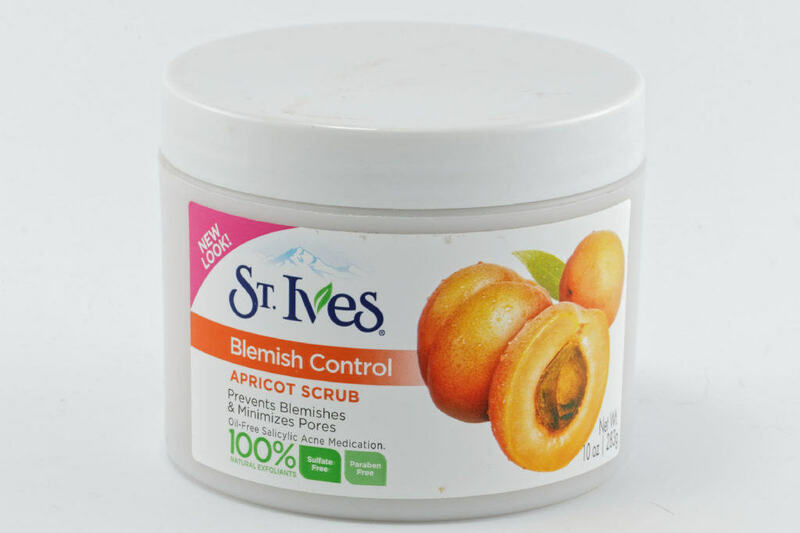 To me, the St. Ives Apricot Scrub is their original product because I’ve really used no product as consistently as I have this one. I used it when I was twelve (or even younger) and I still use to today because, I believe, it the best over-the-counter exfoliator for the price. It uses mostly natural ingredients which is gentle enough on the skin to not irritate it, yet it contains enough granular material to be abrasive enough to get a good exfoliation. I would recommend this to just about anyone who is looking for a great natural scrub that will do the job, but not too harshly. Even Supermodel Gigi Hadid gives the Apricot Scrub high marks and has commented that “It’s been around because it’s the best”. 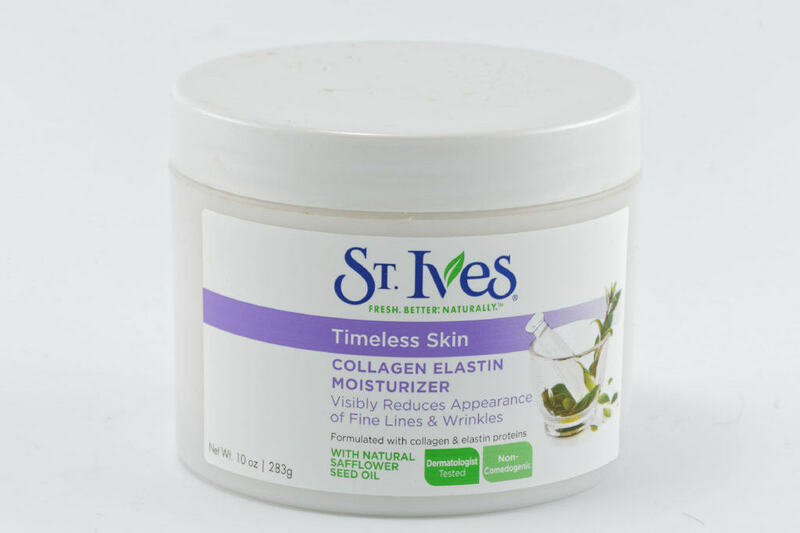 A fellow blogger suggested that I try St. Ives’ Collagen Elastin Moisturizer in lieu of the expensive creams that I had been buying. She promised that it would be good, if not better, than they more expensive creams. I tried it the first night and found out that she was correct! From the moment that I applied the cream, my skin felt cool and tight. Once the cream congealed on my face, it felt firmer and more lifted. You can’t beat the price of this amazing cream. It will make a wonderful addition to your face cream collection. 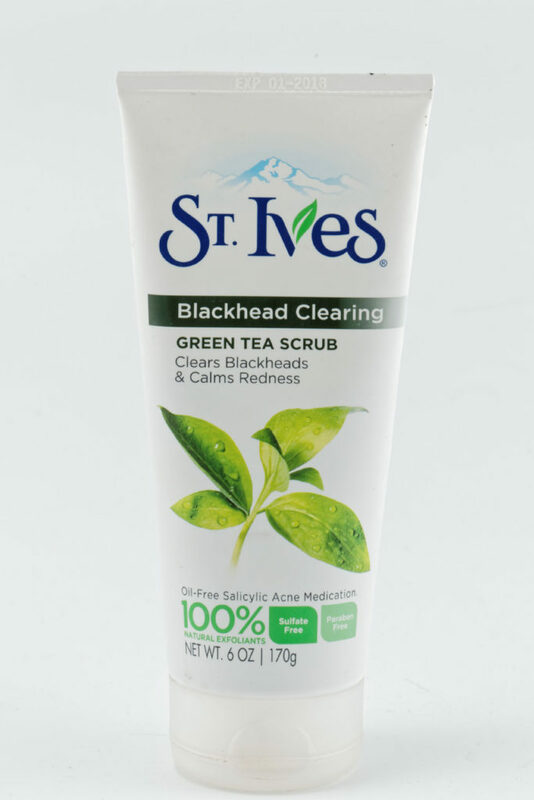 I use the St. Ives Green Tea Scrub after a night out with heavy makeup. The product definitely helps me clean each pore and give my face an all-over clean feeling. If I combine it with Apricot Scrub, my face feels extra clean and my risk for a pimple lessens greatly. I don’t used this Green Tra Scrub everyday because it too harsh for my skin, but I do like to use it on those nights when I’ve worn a lot of makeup and need a deep cleansing. Exfoliating your face before you apply makeup can lead to excellent results! Check out these 50 Makeup Tips Every Woman Should Know to find out how to incorporate your beauty routine into your makeup application. A Look Forward to 2017! I like this brand! I have a few of their products at home. I’ll have to pick up the timeless skin one! I personally find the scrubs harsh, but the apricot one smells great. I’ll have to look into that collagen moisturizer for sure. 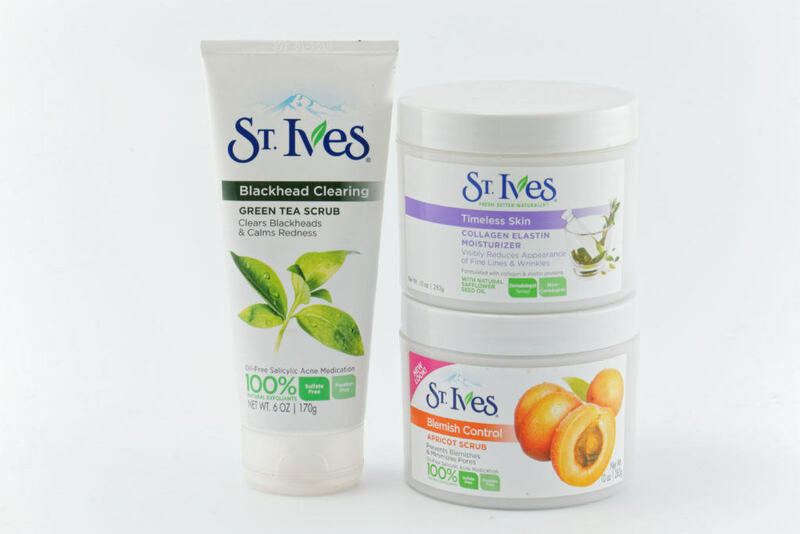 I love the St. Ives products! I have the apricot scrub. I am glad someone else enjoys their products as well. I love St. Ives! I’ve used it for years and swear by it. 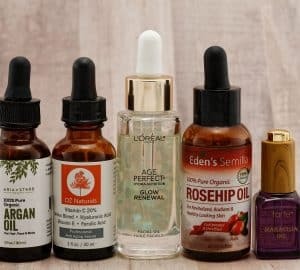 Every now and then, my skin seems to not take to it anymore and then I have to switch out what I use for a while. When this happens, I use black african soap. I also highly recommend that! I used St. Ives a long time ago, but based on your review, looks like I should check it out again. I’m really interested in testing the moisturizer! I have never used this brand but have heard lots of great reviews before. Will have to try it! From what you’ve told, I really like the Apricot scrub! I was looking something effective for blemish removal and this might just be the best possible thing! I just hope it is available in my country! 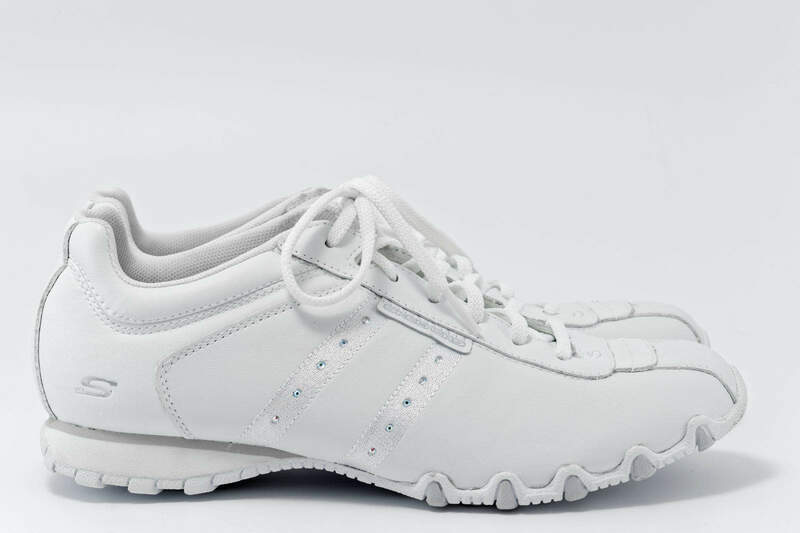 I used St.Ives products and I agree they are very good. Effects are visible. I totally love this brand, it’s perfectly to my sensitive skin and it’s not harsh like other brand. I need to start looking for their products. I used them growing up and loved them. We used this apricot peach face scrub and it smelled so good. I used to love st. Ives from a young age as well like every day. But it would be too rough for my skin, so I limited to 2x a week.